Getting regular physical activity is an essential part of making sure you stay healthy and fit. You don’t have to join a local gym or venture outdoors during the summer heat to work out. If you prefer exercising in the comfort of your home, there are many kinds of workouts you can do. Lifting weights helps tone your arms and build up your muscles. You don’t need a home gym with a weightlifting bench to do this type of exercise. Instead, you can get a few pairs of free weights in different pounds to give your arms a workout. Hold a free weight in each hand, and alternate lifting them up. You can do this while walking around your apartment to give your legs a workout as well or while watching something on TV. Yoga is a great way to improve your flexibility and calm your mind. You don’t need a lot of space or equipment to do yoga in your home. All you need is a yoga mat and some workout clothes. If you’re unfamiliar with yoga, you can find instructional videos online to follow. Whether you’re a beginner or a more advanced yoga practitioner, this form of exercise is an easy one to do right in your living room. Jumping jacks and some other types of cardio exercises are out of the question since they could disturb your neighbors. For a good cardio workout that’s also quiet, focus on doing a routine that includes lunges, kicks and crunches. These types of exercises can get your heart pumping while also strengthening your muscles and improving your range of motion. 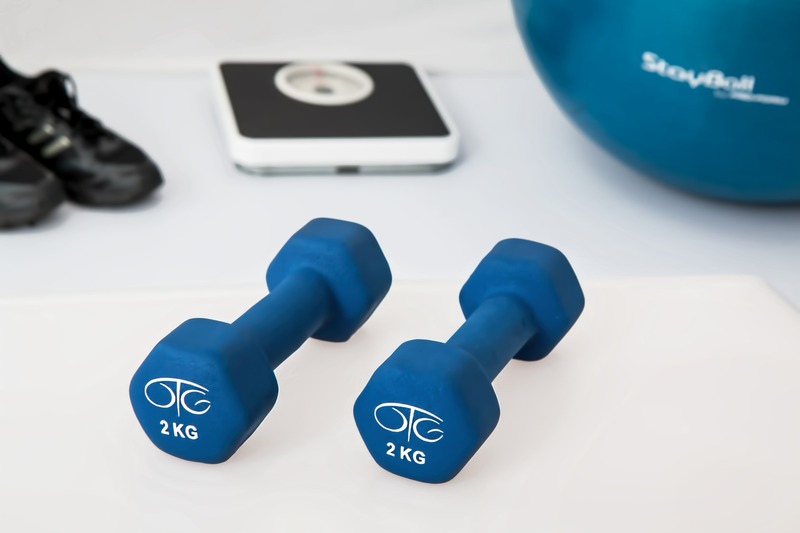 When you want to get out of your apartment to work out, our community has a 24-hour fitness center, swimming pool and outdoor fitness course. Contact us to get more details about our apartments in Flagstaff, Arizona.